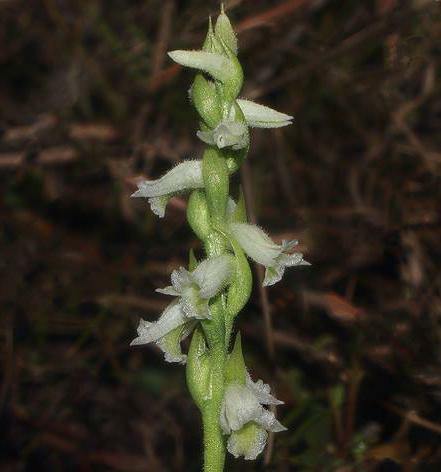 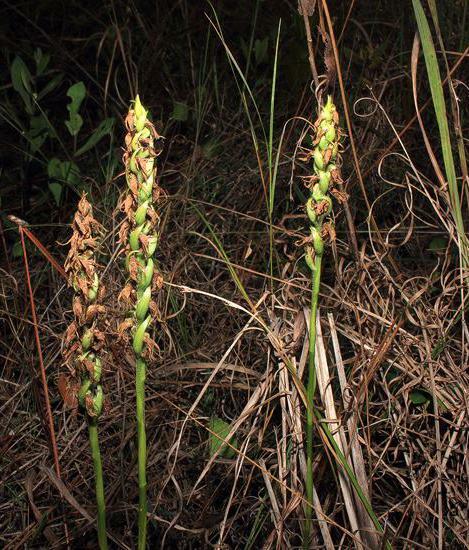 Spiranthes triloba, the Panther Ladies’ Tresses, is endemic to Florida and has recently been reinstated as a valid species. 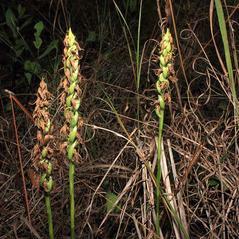 This orchid has a basal rosette of 1-5 upright leaves that may wither at the time of flowering, and slender, stoloniferous roots that produce small plantlets. 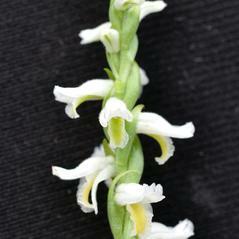 The inflorescence is a spike of fragrant, white flowers arranged in a coiled spiral. 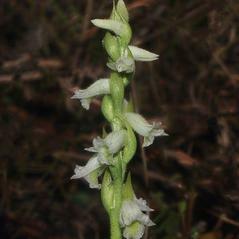 The papillate, white margined labellum matures from lime-green to yellow and distinguishes this orchid from other Spiranthes species. 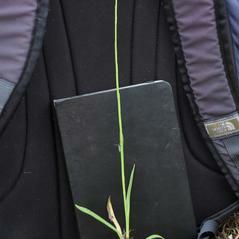 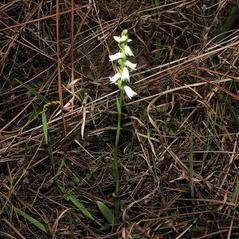 This orchid is usually found in frequently burned prairies and open flatwoods. 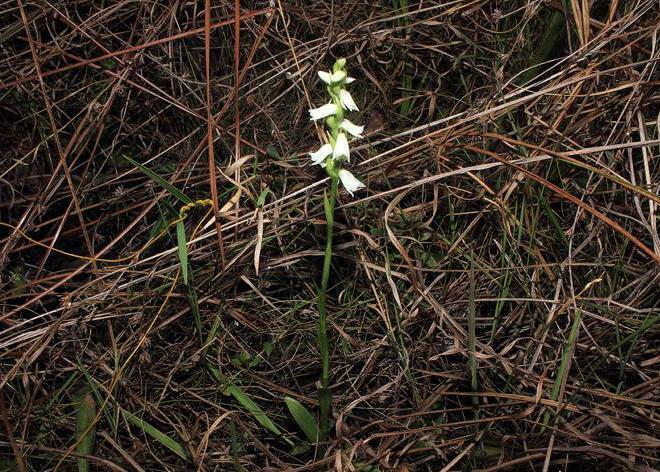 The status for Spiranthes triloba has not been reported, although this orchid should be of high conservation concern given its limited distribution and preference for fire-dependent habitat. 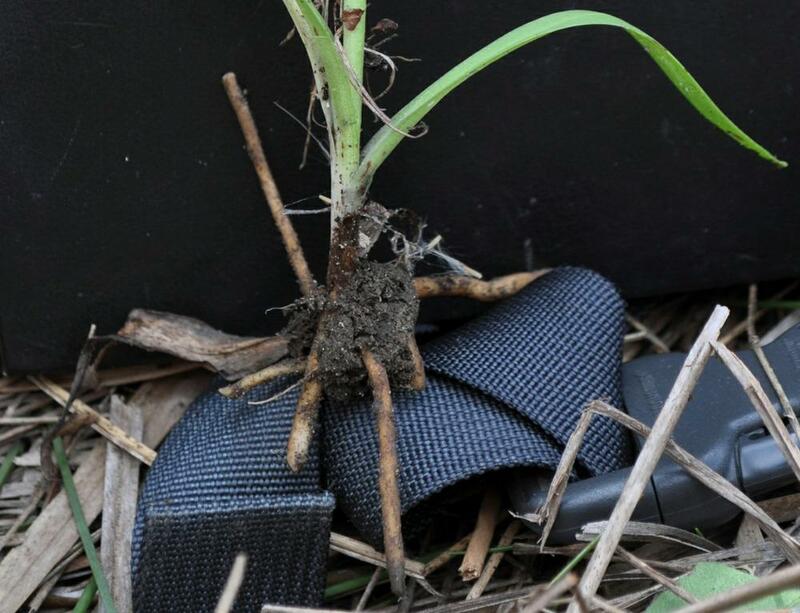 Many populations may be at risk from salt water intrusion or submersion from predicted sea level rise. 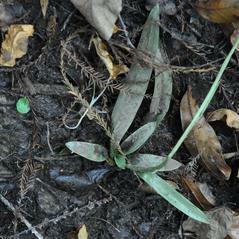 Although fruits are regularly encountered in the field, cultivated plants of S. triloba grown in a greenhouse have not produced fruits. 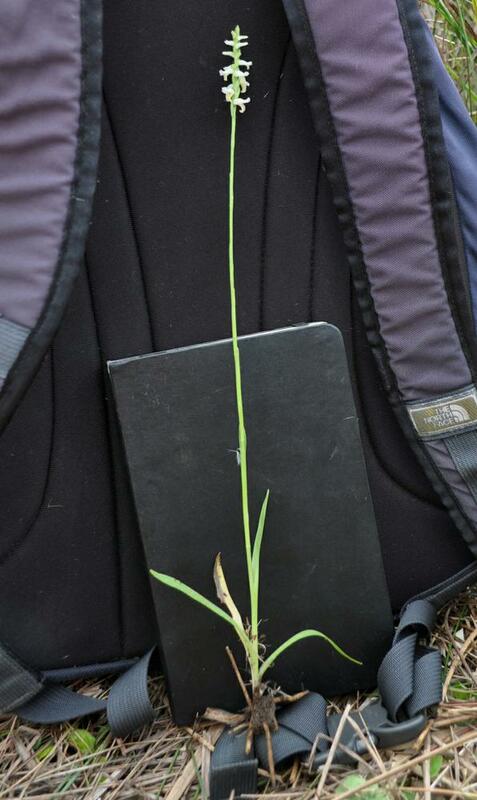 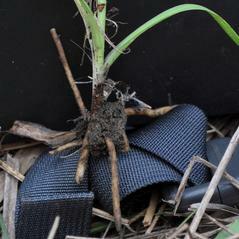 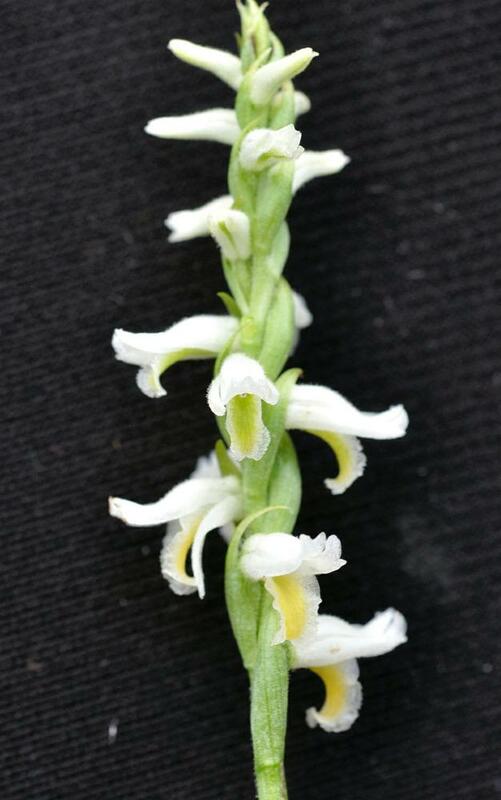 This observation and the presence of a well-developed rostellum support the conclusion that this orchid most likely requires a vector to initiate pollination for seed production. 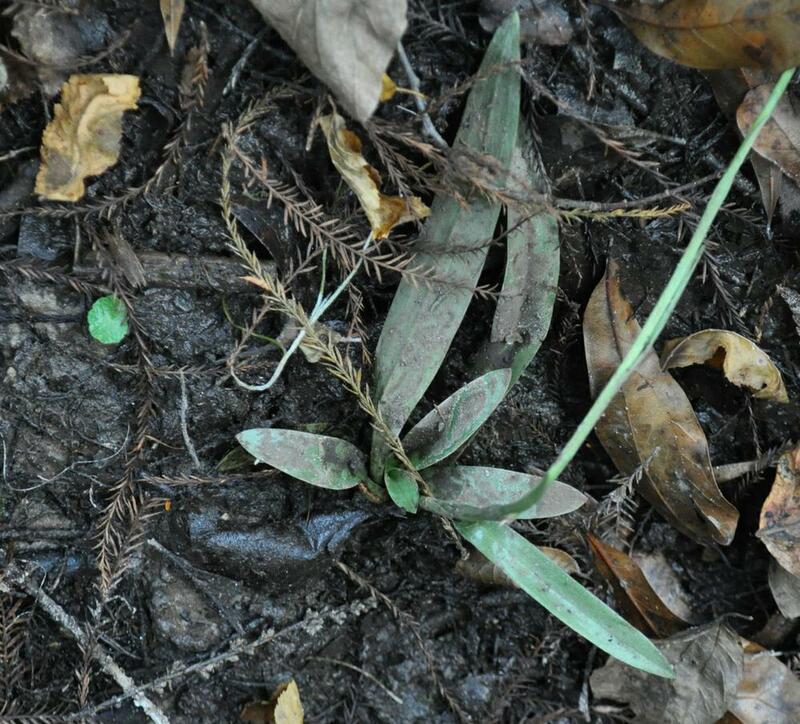 Insect visitors include Apis mellifera and Augochlora pura, but their role as pollinators has not been confirmed. 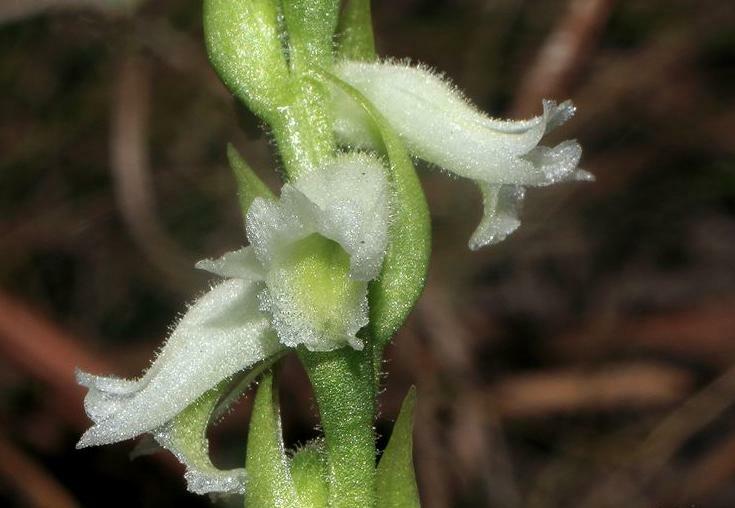 Generally considered a hybrid or a “green-lipped Spiranthes odorata”, this orchid was originally described as a distinct species over 100 years ago. 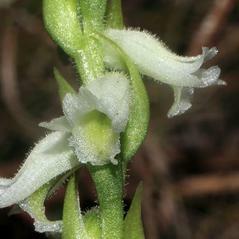 Morphological characters and molecular studies confirm that its recognition as a distinct species is warranted.